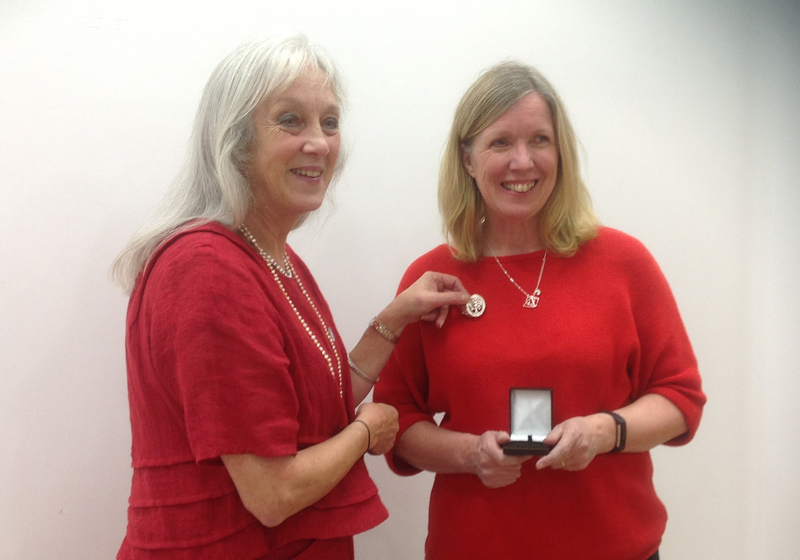 In the photo above, outgoing President Rita Preston hands over the President’s badge to new Norbury & District WI President Kath Hughes. Celebrating its 60th year in 2014, Norbury & District WI is a welcoming, supportive and fun group of women who meet every second Thursday in the month at Norbury Village Hall. Norbury Village Hall has full disabled facilities and easy access and parking. Currently Norbury & District WI has around 40 members drawn from the surrounding villages. New members are welcome to join throughout the year, however, guests are also welcome at any time. The monthly meetings start at 7.30pm with a short meeting to discuss WI business and events for the diary, followed by a guest speaker, this is followed by a lovely buffet tea which gives members the chance to socialise and catch-up. Norbury & District WI also has three darts teams which take part in the WI’s county-wide competition … bringing the cup home to Norbury on no less than 3 occasions! 14 November – Chocolate Gourmet, Ludlow – Discovering and Tasting! If you would like to join one of the meetings, perhaps to give the group a try before joining, the first visit is free, please call Kath Hughes on 01588 650467 or email kathhughes2@gmail.com. There is a small fee for visiting members of £3.50, this includes a lovely supper!